During Gamescom this year, we had the opportunity to meet Naoki Yoshida and a part of his team Michael Christopher Koji-Fox, co-lead world and lore developer of FFXIV and the music composer Masayoshi Soken. With a german media, we were able to talk with these generous people who came to celebrate the fifth anniversary of Final Fantasy XIV with great enthusiasm ! Yoshida : Thank you very much for coming today. It’s the first day of probably the largest event in Europe and one of the biggest in the world and this is our first interview for FFXIV and you guys got the honor to be the first ! 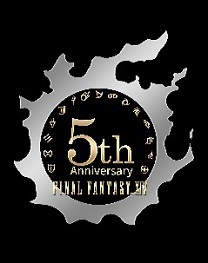 As you know, 2018 is our 5th anniversary of the release of A Realm Reborn. Thanks to you we made it five years ! Finaland : Thanks to you too ! Yoshida : This is something we announced on August 31st. Thanks to all of our fans, as of this year we have now reached this year globally 14 millions accounts worldwide. Yoshida : Thanks. Now we have Soken, our sound director, give a little self introduction. Soken : I am working on creating and developing the music but when I look back, it’s been quite quick to pass 5 years already. That’s my impression. When you are looking on other titles, we don’t have that many games that have this amount of update soundwise, this often compared to XIV, so we would like players to enjoy and have fun playing the game ! Finaland : Firstly thank you for receiving her here, at Gamescom. Resources allocated for development have changed. We know that some of the resources that were dedicated to content are now dedicated to the creation of new content such as Aquapolis, Palace of the Dead, Ultimate Fights and Eureka. Will it be possible to have content without sacrificing resources? Yoshida : Are you worried that because we’ve moved people off, maybe there will be less of this etc. ? Yoshida : By moving some of our dedicated team members that would make the dungeons, and are now making new contents, the instanced dungeons have gone from 2 every patch to now some patchs to only be one. Is that what you want to mean ? Yoshida : Do you really need more instanced dungeons ? Yoshida : Back when we had a smaller development team we had to concentrate on the instanced dungeons, because that’s all the capacity to create we had. 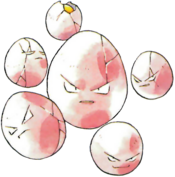 But since then we have gotten better at what we do, now we are trying out different things, for example Eureka, or the raids, the hunts. In all of those you can still get the Allagan Tomestones that you need, not just from instanced dungeons but from all those different kind of contents. So we fill by reducing the amount of instanced dungeons and increasing the amount of other type of content to get the same things, that we are opening the amount of opportunities and options for the players to get what they need rather than doing just instanced dungeons. 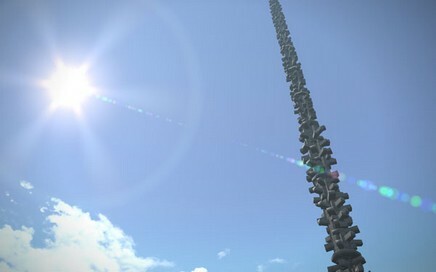 When it comes down to resources, for example to create Heaven-on-High, our new Deep Dungeon, the amount of resources we used to create that is not the exact same of creating an instanced dungeon, actually it’s about three times the amount of resources to create that. We are putting a lot of effort into those new type of contents. We have actually a really good flow that we have gotten into these past few years where we have the original members that have now become veterans and have practiced enough and they are very good at their jobs and now they want to try new things and we are allowing them to try new things. We are always bringing in new staffs as well and so the instanced dungeons are now what we are using for training. When new staffs comes in we allow them to work on the instanced dungeons, when they get the hang of that they move on to primal battles and from there we move them on constructing raids while our veterans are working on creating new things. It’s a very good system that we have. Soken : From the years back and until now, the sound team has been working on all the contents. Be it raid contents, deep dungeons, instanced dungeons and all that. We are the ones creating sound for all contents, so you may be worried that our workload as been increasing, for the sound creative team, but you don’t need to worry about this because we love to work on this more and more ! 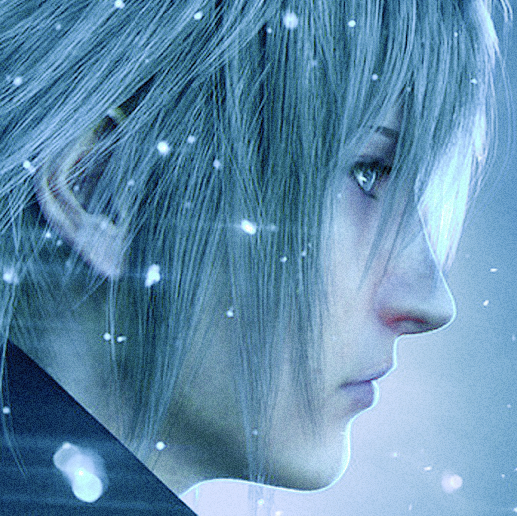 German Media: My first question is for Mr. Naoki Yoshida, this has been a special wish for a couple of years, it’s to implement new customization options in creating characters. Every Warrior of Light is like a supermodel, there are no fat people for example. Or adding stuff like new Au’ra horns etc. Is there some things planned for the next year ? Yoshida : We really do want to add more options, the problem is that to add new options, especially with body sizes, we’d have to remake all of the equipment. By now we have over 20000 equipment items in the game. To add things we’d have to rework all of the graphics for those 20000 items. 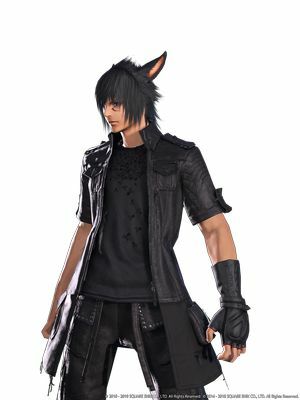 As you know for like helmets, Ao Ra have the horns coming out of the helmets, or like for the miqo’te you have the tails coming out of armors and that sort of things. If we decide to change something, we might have to adapt that sort of elements on all the equipment. So it’s a very hard thing to do to just add new options. Regarding creating character models, when creating a game that have a fit body style as opposed to creating a game that adapts, like for example with a weight slider, creating those models is completely different. 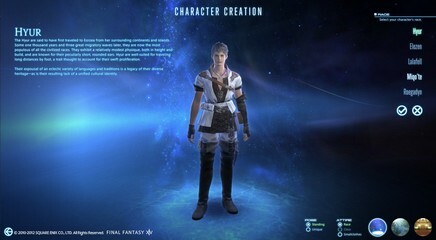 At the beginning of Final Fantasy XIV we got locked into creating that first type of body because with a weight slider we couldn’t create the type of characters that we have in XIV now. When making that decision, back at the beginning, “which one we’re gonna do ?”, we had to decide “which type of character have that Final Fantasy feel ?”, and looking back at past titles it turned out that in all of our past titles, everyone look like supermodels and so we chose the option that now allow us to create characters that have that Final Fantasy feel. It was a decision, a difficult decision that we had to make and that’s the decision that I made. As I told you before to create a system that allow for like a weight slider in there would have to mean completely revamping what we have and so it would probably be something really difficult. Finaland : Our next question is a long one and it’s for both of you. When we listen to the song Wayward Daughter (Gekka higanbana: Ban-shin tsukuyomi tometsu-sen), from Tsukuyomi’s fight, we can clearly hear a part of A Father’s Pride (Chichi no hokori: Yansa Hiru), Yanxia field music. It’s quite a strong nod to fight this primal with this music, knowing that she hates, she’s disgusted about Doma even being a doman. Was that choice deliberate and desired? Do you often feel like taking over existing tracks when you have to create new tracks ? Soken : For the Tsukuyomi’s encounter the BGM is actually created by taking the phases from Yanxia AND in Doma, but from the part of the encounter where she summons the music we used is from Yanxia and also a part of Revolutions, the reason why we chose to use Revolutions for that part is because it’s kind of the ultimate fight, it’s the climax of the fight. As you noticed, the way Yanxia and Doma theme songs are used is like you said, it’s a mix of the experiences that she experienced as a child and also the time that she spent when she got back in Doma. So we wanted to intertwine two different elements to show the conflict and also the evanescence that she had. On phase 2 and phase 3 we also used Yanxia and Doma but the parts of those musics that we took are different so it rings quite differently. That is actually the core of the FFXIV Sound creative perspective task, when we get stimulated by a music and want to add a meaning to it so it’s really meaningful in the game, especially during fights ! Finaland : There is also, the music theme of Doma’s castle is named Gates of The Moon (Tsuki Ryo-mon: kaiho kessen doma-jo). Knowing the current status of the story and what happened to Yotsuyu, was the choice of this name’s title premeditated when you composed the music for the release of the expansion knowing what would happen next in the update or is it pure chance? Koji-Fox : I actually was the one that named the song, and it wasn’t known how it was going to be used. It ended up being pure chance, because we only knew it was going to be used in the area, not how the melody would be used in the future. It ended up being an actually good choice ! German Media : My next question is for Mr. Soken, the whole soundtracks of Final Fantasy XIV is a masterpiece and almost all of them is Mr. Soken’s work. What inspires you when you have to write new musics ? Soken : I’m actually asked this a lot (laughs). I gain inspiration from everyday life, from everything I do, it’s my first source of inspiration. There’s also the games that I play that can be sometimes an inspiration. German Media: Which are ? Yoshida : Overwatch isn’t it ? Soken : Yeah Overwatch. Have you played ? German Media : Overwatch, yes ! Finaland : Which heroes do you play ? Soken : D.Va, Reinhart and Zarya, sometimes Zenyatta. Finaland : Monster Hunter collaboration has been a real success on both sides, just for wishful thinking, which game would you like to have a collaboration with in Final Fantasy XIV ? Yoshida : I don’t want you to misunderstand. Finaland : Not an announcement, just what you would personally wish. 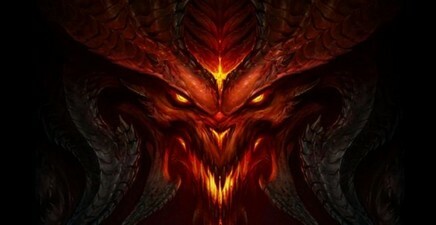 Yoshida : Diablo. I’m a big fan of Blizzard’s games, so I’d love to do something with Blizzard. Soken : Yeah we are both big Blizzard fans. Yoshida : And a lot of people on our development team are Blizzard fans as well, they really respect that company and their games. 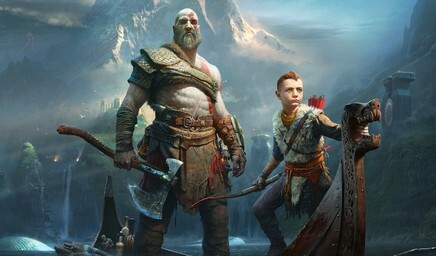 A collaboration with God of War would be nice too. For us, the meaning of doing a collaboration, is to wow fans around the world. If we are going to something we want to do something to wow fans. I really don’t like doing a collaboration that is just using a name, bringing a character or a costume. If we’re gonna do something we have to do it deep. We probably can’t do Mario though (laugh)... maybe Zelda. German Media : My next question is for you Mr. Koji. We aren’t so far to the expansion, I think the next one is on the way. Do you write the story for the next expansion as a piece or do you plan far ahead like maybe the next couple expansions. Koji-Fox : Ok, actually that’s probably a better question for Yoshida-san because he is involved with that creating process so I’ll ask him. Yoshida : It’s basically a case by case situation. The case of Heavensward for example, from the original 1.0 Final Fantasy XIV, there was that promise that someday we’d get to go to Ishgard and so with Heavensward that was the one thing that we had to make sure we were gonna get, so in a way that was planned since 1.0. In the case of Stormblood we had both situations. We had the idea of going to Ala Mhigo, that was once again something we wanted to do since the 1.x series, the idea of that city we cannot get into because it’s been taken over by Garleans. So wrapping up that story was something that we wanted to do because it’s there since the 1.x series so it was our priority for the second expansion. 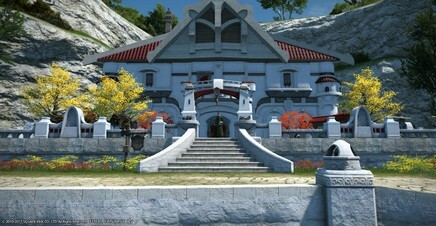 Also, players would probably expect that after going to Ishgard, “Ala Mhigo is the only city we haven’t gotten yet, we’re gonna go there next” but we felt that this wasn’t going to be enough and so at that point we had to come up with something new, that’s why we decided to take Garlemald, Doma, the Far East, bring all that in and expand that storyline. That wasn’t something planned from the beginning and then going from there we though about how going from that 4.0 storyline it would go and be developed into 4.1, 4.2, 3 , 4 etc. As for the future, if the players stick with us and stick with the game, we want to have their stories that we want to tell, we have ideas pretty much all the way to maybe 6.0. Finaland : My question is about an interview we did two years ago, Yoshida-san advised players to take a break and play less when they get bored. Even if there are patches to catch up the content, the game pushes the player to stay up to date, for example you can’t take a break from the game for more than thirty days if you have a house. It’s kind of weird to hear a producer tell people to take a break and play other games. Finaland : Yes but for example if I take a break from the game for two months, and my subscription is not active, I can’t log-in to do that and will lose my house. Yoshida : If you had an appartement you wouldn’t even had to log-in ! As for why, I as a producer of a game, am telling players not to play it sometimes or take a break sometimes is because there are a lot of great games out there. You know before being a producer I am a gamer, I want to try a lot of different games myself and I want the players to play a lot of different things, to get that different stimuli from different games. 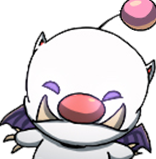 If you are only playing XIV, you lose sight as to why XIV is good and if you step away from XIV and play other games you realize remember what is good about XIV. I have a lot of free time when I come ontrips like this, so I like to bring my PS4 and I use this time to play games like Monster Hunter or God of War. Soken : On the contrary I get to play a lot of FFXIV when I’m on business trips like this time. Because I have my PC in front of me it makes me play for a long time. Back home I have my PS4 and there’s so many games and I have to play those game. Yoshida : It’s all about balance, focusing on one thing too much it never really leads to anything good so it’s important to have that balance there. German Media : Since A Realm Reborn, the end game pattern haven’t a lot : Farming tomestones, four high level raid and alliance raids, is there any plan to break this pattern and doing something new or are you going to continue to follow it ? Yoshida : Currently we have added the even higher end, the Ultimate raids, but beyond that we still haven’t considered anything yet. However for the Disciples for the Hand and the Land, we are thinking of some new type of end content for those classes, but we can’t tell you anything about that yet. Finaland : The next european FanFest is coming in a few months, in february in Paris. You have acquired a lot of experience thanks to the previous events around the world. How are you feeling now, we suppose there is a lot of work to be done, but with your current level it should be a piece of cake right ? Yoshida : In previous Fanfest, did you felt there are some things that could have be done better ? Finaland (Fat Chocobo) : I went to the London and the Frankfurt Fanfests, I was very satisfied about London but for the Frankfurt’s one, the activities I wasn’t attracted. The activities in London we felt more implicated, we had like crafting activities while in Frankfurt it was more like the Gold Saucer with mini games which is fun but less implicating. Yoshida : Our first stop is Las Vegas, our team in America has already been giving a tons of ideas of things they want to do and we are in the process of checking those right now to make something great. Europe is in the process of coming up with ideas and we’ll take your comments and make sure they get to the team. While this is our third time doing this, every time that we do this we try to do more than we did at the previous one, we try to top ourselves, we are on the verge of Limit Break ! So to say that we have 100% confidence because we have done it before, well, we are going to try to do things we haven’t done before this time so it’s always a little bit nervous like “can we do this right”, but as you said, we have the experience of the previous ones, we’ll put all that to make an event bigger and better Fanfest. German Media : Glamour restriction seem to be very hard since you can only glamour items of your own class or fellow classes that share the item. Would it be possible in the future for example to have a White Mage being able to glamour parts of Paladin’s gear ? Yoshida : But then it wouldn’t be a White Mage anymore ! German Media : The community was thinking about just some parts like hands or boots that really fits with the other outfits. Yoshida : But everybody have their own taste, if there is one person that think that those Paladin’s gloves would fit really good with their White Mage outfit and that’s just one person opinion and some people might think that looks ridiculous. That said, we are not completely closed to opening up certain types of equipment to make them all classes availables when it comes to the glamour system. If there are certain parts and certain designs that players want to be able to be used on all class, then please post those on the forums so our dev team can pick those up and make that list. However when it comes to Job Specific equipment we probably will never make that so please try to find something from the general equipment that kind of looks like that and use that instead. Interview lead by Mr.Cloud and Fat Chocobo, transcript and translation by Falen Nadleeh for Finaland. Special thanks to Square Enix Europe and Square Enix France for making this interview possible and of course big respect to Naoki Yoshida, Masayoshi Soken et Michael Christopher Koji-Fox for their availability, answers and kindness ! Cette news a été postée le 12.10.2018 à 13h37 par ff fanatics. Cette news a été lue 6455 fois.